Campari is a bitter Italian aperitif made according to a secret recipe originally developed in 1860 by Gaspare Campari in Milan. Campari is the result of a unique blend of aromatic herbs mellowed in selected spirit. Campari is often mixed with soda and ice, but it is also consumed without a mixer and used in some cocktails. 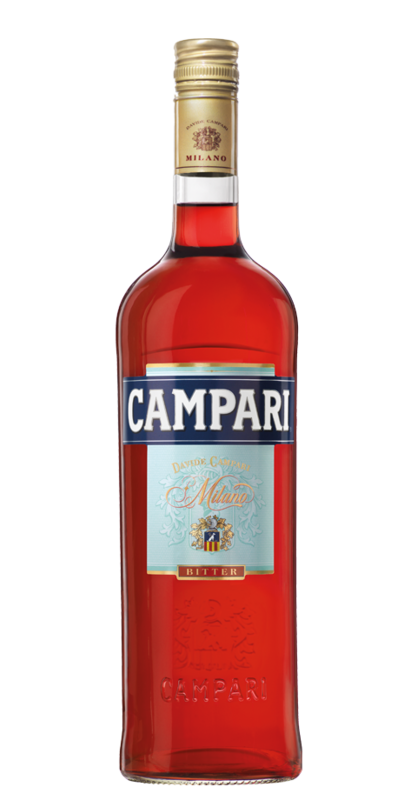 Regular Campari has an astringent, bittersweet flavour.